Food is quickly becoming one of my favorite subjects to photograph. Lately, I can’t get enough. I’ve been photographing almost everything I cook, even simple endeavours like pancakes. 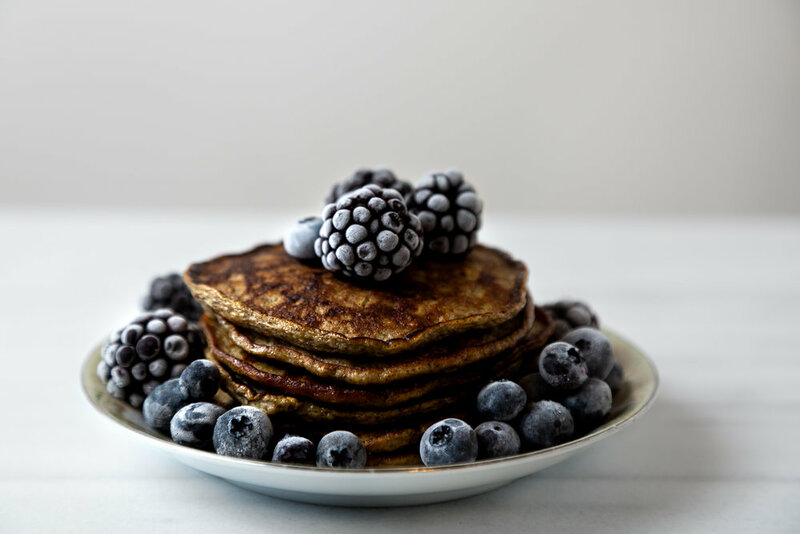 These particular pancakes are some of my favorite to make because they are quick, flour free and super good for you. Take a look, jot down the recipe and enjoy! 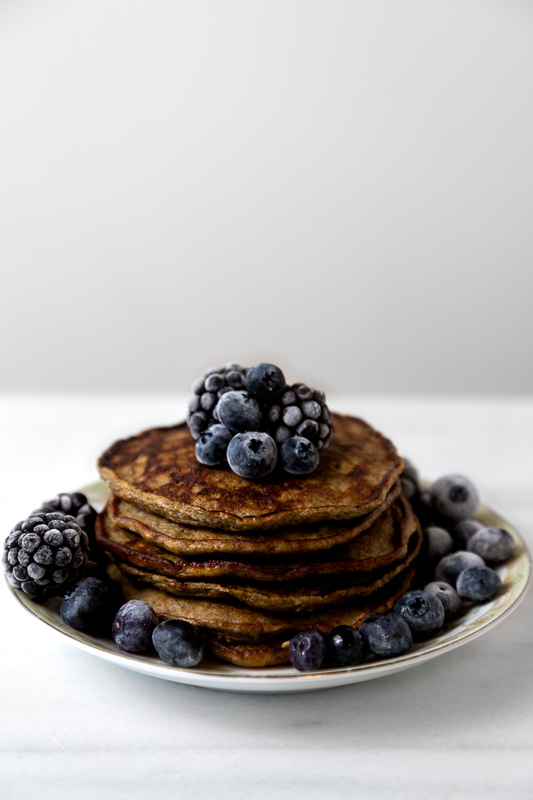 These pancakes are packed with protein. 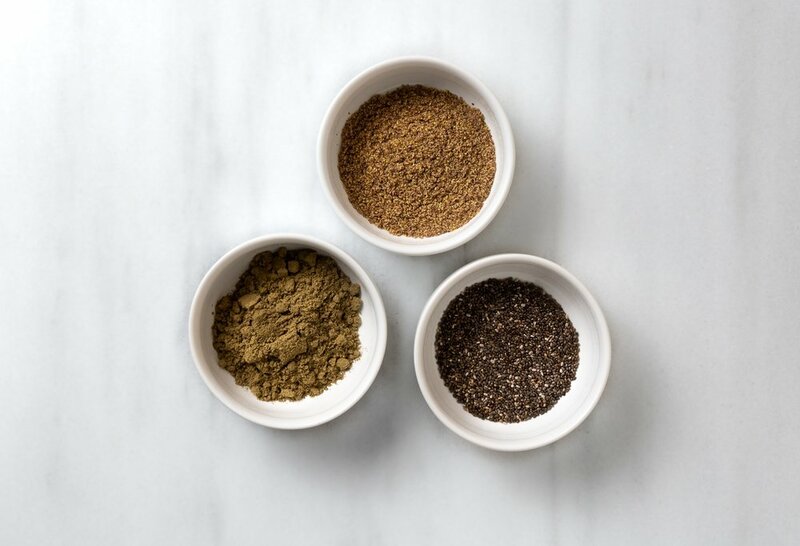 Made with nutrient dense ingredients like flax meal, hemp protein powder & chia seeds. 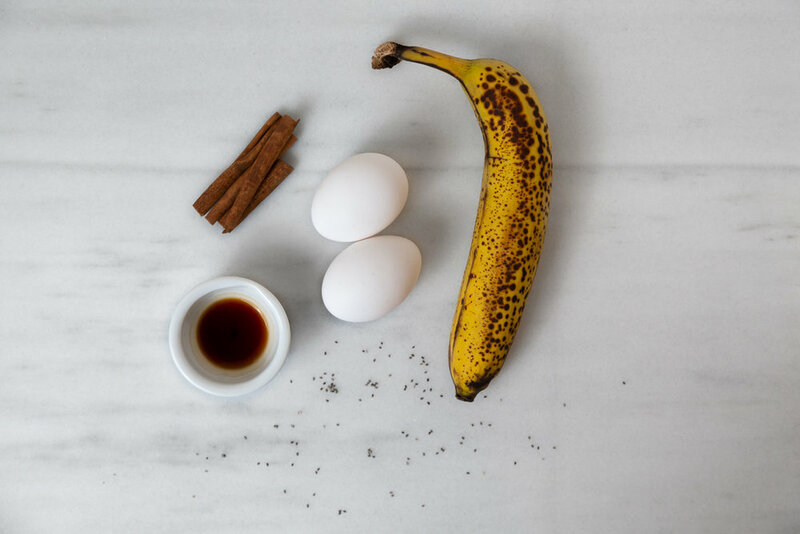 Flavor comes from ingredients like a ripe banana, cinnamon and vanilla. Mash ripe banana in mixing bowl. I do this with a fork, since the banana is ripe it should be quick and easy. It’s okay to leave some lumps. Add the eggs to your mixing bowl. I like to use 1 full egg + 1 egg white. You can easily do 2 full eggs, 2 egg whites or even just 1 egg. Add the remaining ingredients- hemp powder, flax meal, chia seed, cinnamon, vanilla. Mix until combined. Grease your skillet with coconut oil and put it on a low heat. 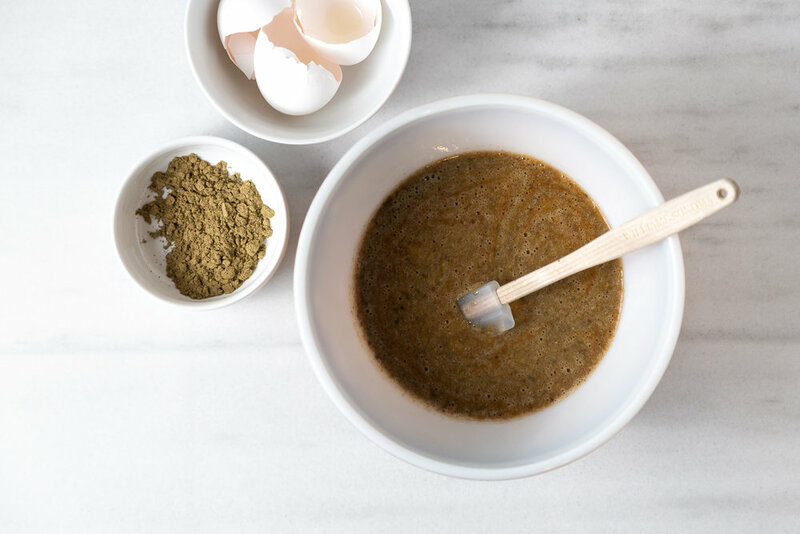 Add your mix to your greased skillet. You can add all of your batter to make a giant pancake or spoon it out to make silver dollar sized pancakes. I like to make mine in a small omelette sized skillet- resulting in a giant pancake. Cover your skillet for about 3-5 minutes as the pancake cooks. Flip half way through and continue cooking for another minute. Remove pancake from skillet and top any way you like! I top mine with berries as a healthier alternative to syrup. Did you make these pancakes? Let me know in the comments section below!